Additional Googling has yet to uncover any more details. The first professional string quartet made up of women was called the Eichberg String Quartet; it was based in Boston and active in the late Victorian era. One of the ladies in the group was a woman named Lillian Shattuck. Someone at Harvard scanned her scrapbook and it is now being hosted at the Harvard University Library website. Take a look if you’re interested in seeing some beautiful portraits of women violinists from the turn of the century. Edit (27 May): The link doesn’t work. It worked yesterday. It’s as if the Harvard University Library website doesn’t want anyone to see their collection. Well…try googling “Lillian Shattuck” Harvard. And a big thumbs down to the Harvard University Library website. I applaud your digitization of this important collection, but next time it would be nice if you’d include, you know, a link so that people, you know, can go visit it. Edit (30 May): Try the comment section for a working link. This is a fantastic performance from one of the great Victorian violin virtuosas, American Maud Powell (1867-1920). I still haven’t bought Karen Shaffer’s biography on her…it’s on my (ever-expanding) wish-list, though! I love the verve that Powell brings to this performance! What a stylish player. If you’re a violin nerd, you’re probably familiar with the name of Baron Johann Knoop, who was very possibly the greatest violin collector the world has ever seen. But I’d wager you know nothing about his wife, the mysterious Maya Stuart-King. This new focus on literary guests was due to the influence of Johann’s second wife, whom he married in 1899. 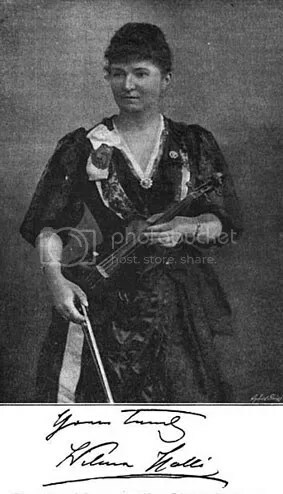 Maya Stuart-King (1875-1945) was a young violinist who had run away from home at the age of 18 to search for her godmother, a German princess. She never did find her godmother, but she did find a Baron. She met Baron Knoop while playing at a salon in Vienna. The Baron fell in love with her and eventually convinced her to marry him, despite the fact that he was 30 years her senior. ‘It was in Vienna. I was a violinist and I lived for music. 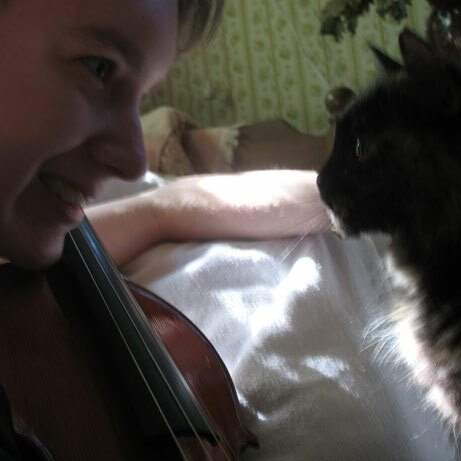 I had my own Stradivarius and was one of a string quartet enjoying high social patronage. One evening a guest at a musical entertainment saw me. It was the Baron and he became infatuated. At first he tried to make me his mistress, but I was elusive and drove him to what was an unwise decision. I was a poor girl of no family; he was a nobleman of great wealth and he was sixty. But he made me a formal proposal of marriage. For me that made his courtship serious. I consulted my friends. They all said it was a golden opportunity for me because the man was fabulously rich. So I accepted him. The wedding itself, in the Russian Orthodox Church with crowns on our heads, was most impressive, and I felt at the time we were achieving something magnificent. Once Maya gained some independence from the Baron, she quickly became a favorite in literary circles and befriended many authors, including Graham and Ranier Rilke. But her closest friend – in fact they were almost inseparable from about 1911-1918 – was Algernon Blackwood, a journalist and novelist whom Maya met on a Nile steamer which belonged to the Baron. Blackwood specialized in books about the supernatural and occult. As Graham describes the relationship, Blackwood became her “Slave of the Ring.” “A love affair began,” writes Graham, “and lasted the rest of his life, though without physical expression. For him Maya became a wonder-child, and then a mystical being with an awareness of invisible things.” Blackwood dedicated virtually all of his books to Maya. What the Baron thought of this relationship is not recorded but if he objected to it he was also resigned to the fact that there was little he could do about it, short of divorcing Maya. It seems that the couple had a devil’s pact. The broody Baron needed Maya’s presence – her lightness and gaiety. For her part, Maya enjoyed the Baron’s money and the freedom of being married in letter only. Though undoubtedly not the ideal union that each wished, the marriage nevertheless survived 19 years, and ended only with the Baron’s death. 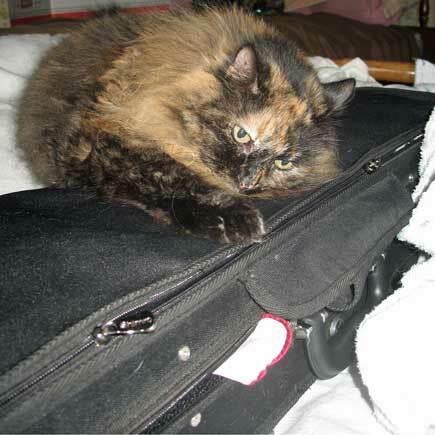 The story about Maya’s Strad being locked in a bank vault is one I have not been able to confirm. 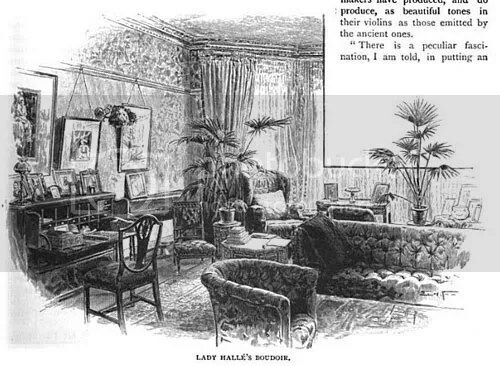 Indeed, it’s not clear which of the many Strads owned by Baron Knoop was actually Maya’s. Interestingly, the accounts of Graham and Ashley conflict with what Doring has written. According to Doring, Baron Knoop actually purchased a Strad as a gift for his wife. This instrument was the ‘de Barrou’ Strad, previously owned by C.G. Meier. “After Meier’s death,” writes Doring, “this violin of 1714 was acquired by Baron Knoop as a gift for his wife.” But as Meier was still alive at least as late as 1911, and the Baron and Maya married in 1899, this cannot be the same Strad to which Maya referred. Graham had travelled widely in Russia and had written many articles and books about Russia, including a biography of Alexander II, so one might have assumed that he and Baron Knoop would have much to discuss. But this was not the case. Graham and his wife were not invited to stay at the castle itself “because the Baron would not allow any guests to stay the night.” During the entire weekend they were there, Graham saw the Baron only once, for about 5 minutes. 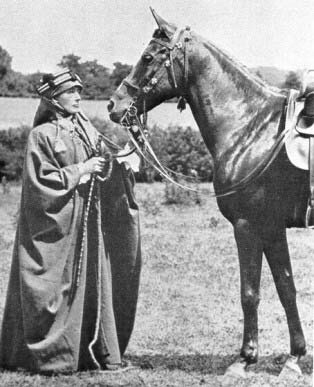 In 1903 Knoop purchased a large mansion in Wadhurst overlooking Kent and Sussex Weald, “with one of the most beautiful views in the south-east.” And although he himself remained in seclusion, he apparently allowed Maya to invite houseguests. 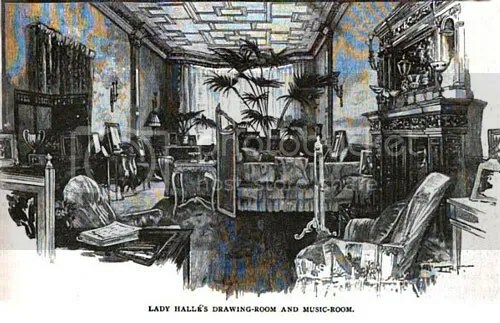 Algernon stayed there frequently and even gave South Park as his forwarding address during the summer of 1911. Meanwhile, the Knoops were being similarly persecuted in their Prussian homeland of Bremen. In 1915, the Prussian government took control of their Muhlenthal estate, justifying this seizure with the fact that one of the owners, namely Baron Johann Knoop, had permanent residence in England, and that his wife, “Baroness May Knoop,” was German-American by birth. By this time, the Baron had anyway abandoned the castle, with his last visit there believed to have been in 1910. In 1916, probably to give their company a more Russian flavor, the Russian Knoops reorganized their enterprise and renamed the resulting company ‘Volokno’. But as Russia was increasingly hostile to any successful companies, and especially those with German roots, the Knoop family transferred as much of their assets as possible into the Manchester de Jersey company, whose chairman was Baron Johann Knoop. After June, 1918, all of the Knoops’ Russian enterprises were nationalized (with the exception of the Kraenholm cotton mill in Estonia), and the Knoops – Johann’s two brothers and their families – were forced to flee Russia. Graham continues that “Maya recovered her Stradivarius from the bank where the Baron had stored it, and organized a string quartet and gave music parties.” She belonged to a group called ‘Higher Thought’ which believed that thought more than actions worked miracles. Another member of this group was a coal magnate named Ralph Hilton Philipson, whose first wife had died in 1873. Once again, Maya was courted by a wealthy, elderly widower, and once again she accepted the marriage proposal. But where the Baron had been a dour, possessive personality, Philipson was his opposite – affable and generous, and a patron of many artists, authors and musicians. By all accounts, her marriage with Philipson was happier than her life with Baron Knoop, but the marriage was a short one. Philipson died of food poisoning in December, 1928. Maya herself continued to live in London until her death in 1945. What became of her Stradivari is not known. Obviously I write non-fiction, and I absolutely love doing so, but fiction will always be the genre that I love the best and feel the most comfortable in. So as soon as I read this post on Cozio, I headed to the library to get a book by Algernon Blackwood in an attempt to discover more about Maya. His stories are spooky, unique, and ridiculously atmospheric; they’re highly recommended. The first one I read was Chinese Magic, which is the story of an older academic man who becomes entranced with a striking young woman. Turns out, there are shades of the Maya/Algernon relationship in just about every story. EDIT (5/28/2012): This essay has now been posted here. I thought I would start a series of blog entries describing upcoming projects (FYI, I’m going to tag them “Coming Attractions”), so everyone is encouraged to check back as often as possible. There may be relatively long stretches of silence on this blog as I do research and write rough drafts, etc., so I want everyone to stay tuned even if it seems like I’ve abandoned the blog. 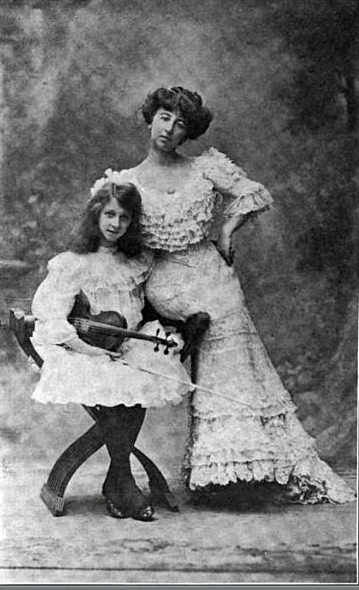 Recently I became interested in the life story of violin prodigy Vivien Chartres (1893-1941). Chartres was a musical phenomenon in the early years of the twentieth century, and in the contemporary press her name was often mentioned in the same sentence as Elman and Huberman. Her story is truly fit for a novel…and unlike most life stories, it actually became one: Vivien’s mother, Annie Vivanti Chartres, was a professional writer who wrote a book about Vivien in 1910 called The Devourers. As you can imagine, since the fictional Devourers is a major primary source, it occasionally gets a bit sticky trying to separate fact from fiction, and the challenge has been a fascinating one that has made me ask a lot of questions… What roles do parents play in raising musical children? What roles should they play? How far should a gifted child be pushed? How do writers fictionalize their own experiences, and how can historians untangle the truth? I’ve been in touch with some people who have helped me uncover some really interesting, thought-provoking things about Vivien and Vivanti, and I’m super excited to be able to share my findings. To the best of my knowledge, this will be the first biography of Chartres available to the general public. So if you’re interested, be sure to check back in the coming weeks. The subjects are extraordinary and I promise that their contemporary relevance will surprise you. Through violinist.com I’ve found a fascinating series of essays written by Margaret Mehl about early female violinists in Japan and the Kôda sisters.. If anyone knows of any online resources about female violinists, or if you have essays like this one to share, contact me! I’d be glad to read them and publicize it here. Er, not that being featured on a tiny blog like this one is going to increase your hits very much, but it certainly can’t hurt, right? I’m introducing a new series of blog entries called “I Should Get On That.” These are little snippets of information I’ve heard of here and there that I want to dig into deeper but can’t at the moment, for whatever reason. 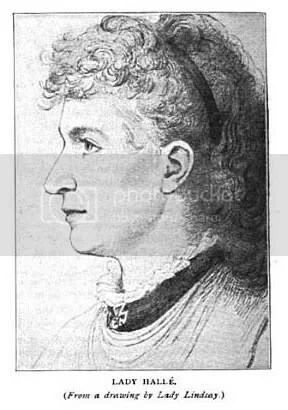 Today’s ISGOT… Lady Anne Blunt. You may have heard of her fiddle, the impeccable 1721 Lady Blunt Strad. It’s currently for sale. So if anyone has a spare….ten or twenty million, call me.